WOW! This is fantastic! So creative - I love the little red heart too! Great card for a great cause! I love how colorful you made the world! Wow, Kimberly, I would love to see how you created your stunning world! It's amazing. Thank you for being a part of this special blog hop for the kids! Great job! I love your card! Love the card. One of my favorites on the hop! Love both cards - especially the word clusters. Beautiful colors. I just love the watercolor world! I would just have a bunch of mush...lol. Thanks for participating in such an important event! Oh my gosh that watercolor world just blew me away! Both of your cards ROCK!!! I especially love the first one!! The World is awesome!!! Great job! TFS! Love both of your cards, they are so creative. How inspirational. Great cards - Love your globe. Love both cards! The first one is my favorite though! Awesome EARTh! 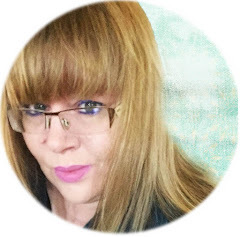 LOVE your cards, Kimberly! That Earth is amazing!!! 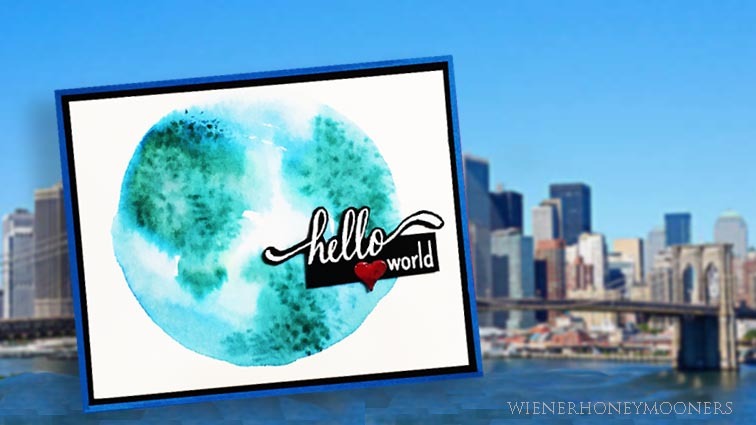 What's better than a big blue world on a Hello World Blog hop!? 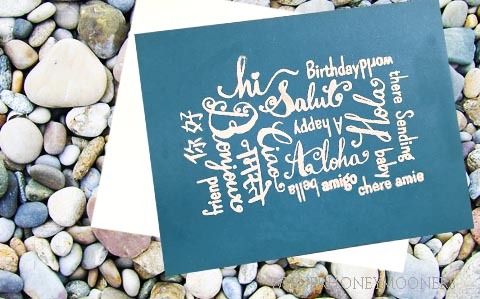 I love your colorful cards - -gorgeous! This is just beautiful with the map of the world. Way to go! ABsolutely amazing...way to go, these are both AWESOME. Awesome card! Love the color you used! What a great idea! I LOVE that watercolored globe!!!!!!!!!! I love your abstract world map - what a great idea - thanks for sharing. Great cards! your watercolored worlds amazing! Thanks for sharing your creativity! Very unique & colorful cards!